Andrew Butler was elected flotilla commander in 2018. 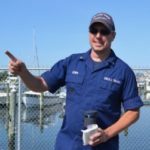 Andrew has served as flotilla vice commander in 2017. He is qualified as a vessel examiner, food service person and instructor. Andrew also holds division and district offices. 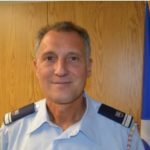 Aaron Leger was elected flotilla vice commander in 2018. Aaron is AUXOP, coxswain, vessel examiner, instructor and fingerprint tech. He is also qualified in CPR and first aid. Aaron also holds division and district offices. Marjorie Joseph was elected flotilla commander in 2017.